Home > Repellents/Odor Control/Disinfectants > Foggers and Sprayers > Fogmaster Jr. The Fogmaster Jr. is constructed of corrosion resistant materials. Twist the power head to detach the tank and pour in the solution. Another half twist and you're ready to go. A switch located on the handle to run. Adjust output size droplet, from a fine light fog to a coarse mist, with the rotary valve. 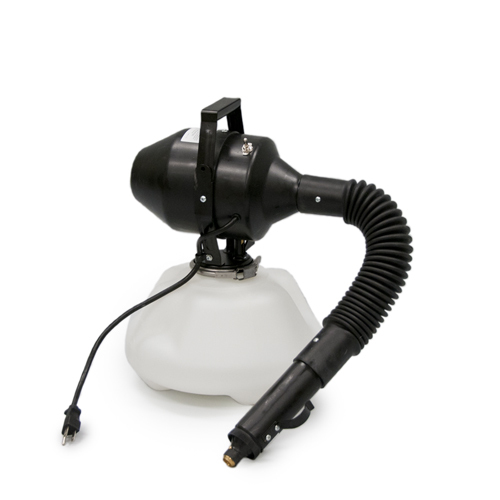 This is a great sized fogger for smaller applications, i.e., one room, garage, a crawl space, etc.